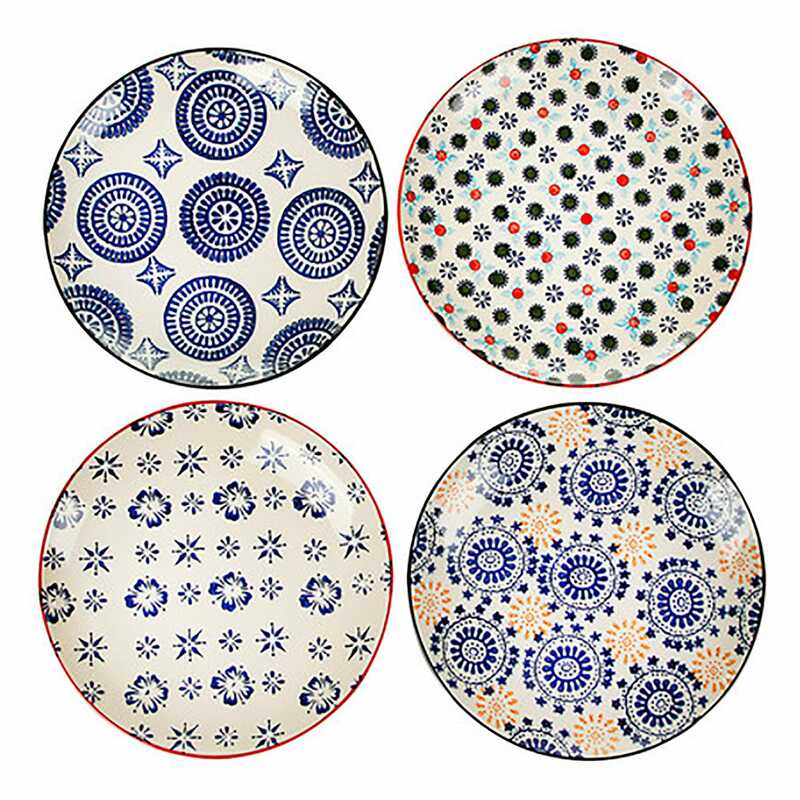 Evoking the complex artistry of traditional Moroccan tiles, the decorative Mosaic range adds a burst of Middle Eastern pattern to the dining space. 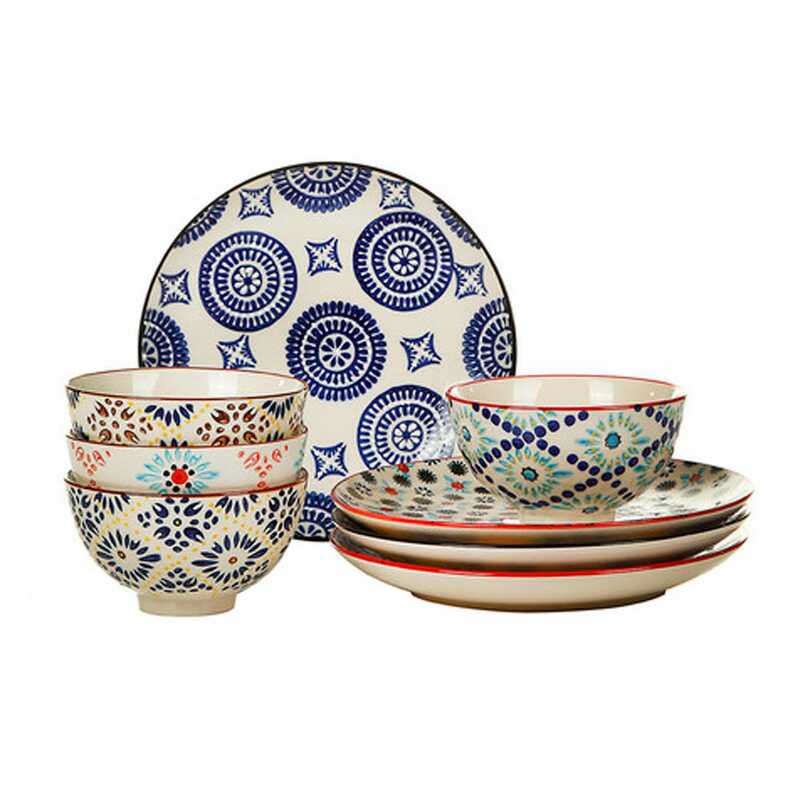 Made from fine quality stoneware, each piece features intricate hand-painted decoration and is finished with a smooth, glossy glaze. 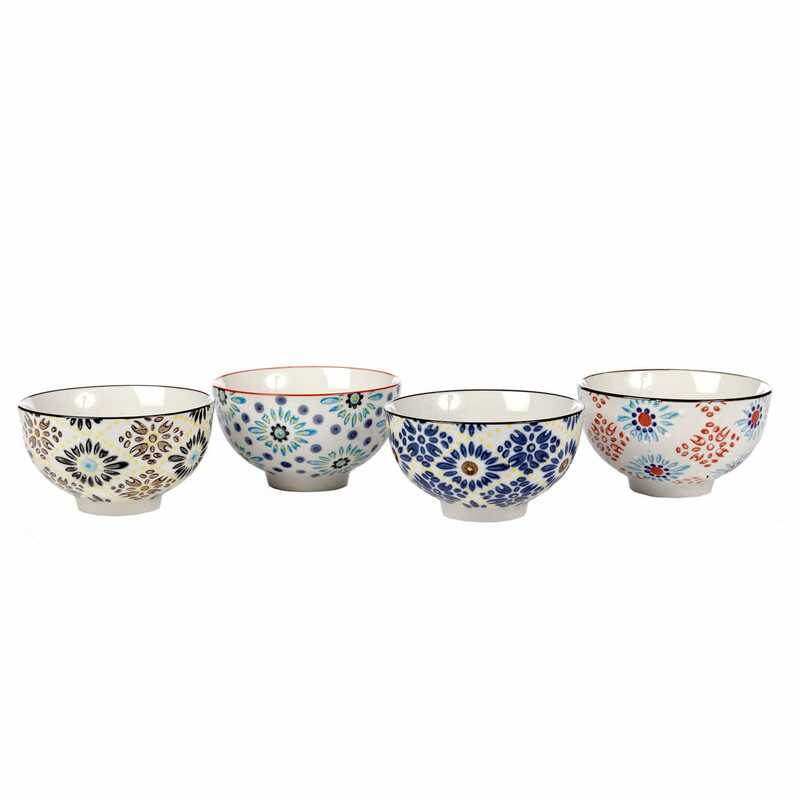 The Bowls are really lovely. I like the different patterns. Recommended. 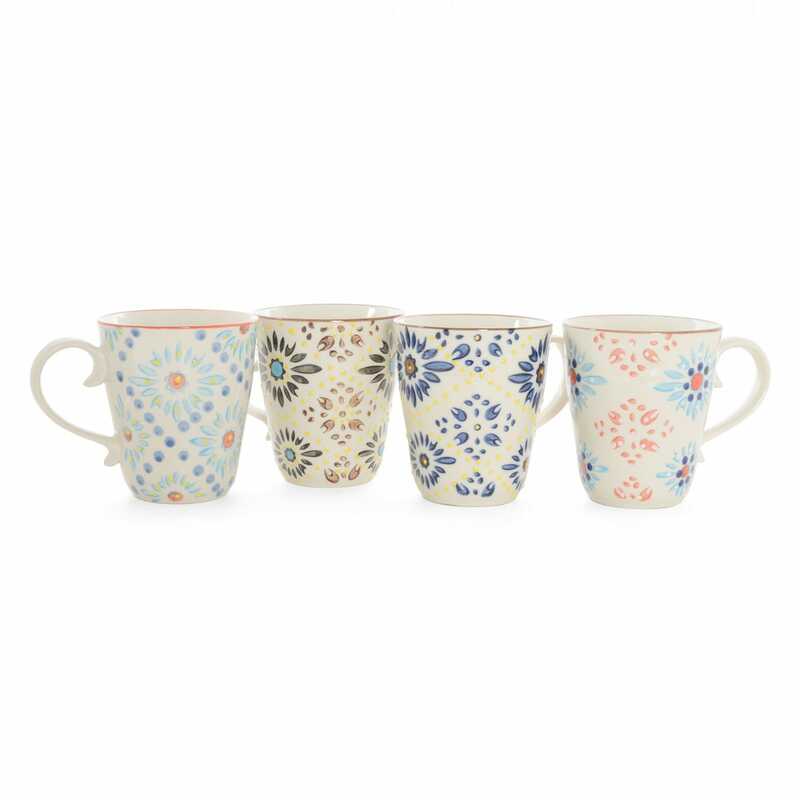 Love the mismatched design and again lovely quality from Pols Potten/Heals.